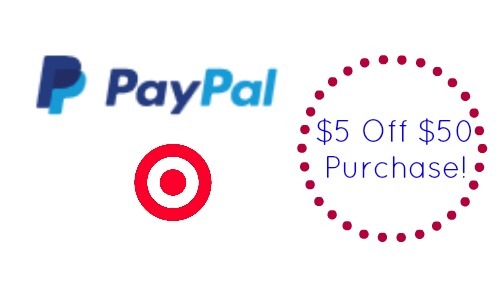 PayPal is offering an additional $5 off $50 or more when you shop at Target.com! Certain exclusions apply but it’s a great way to save $5. You must click the “Shop Now” button through PayPal to activate your offer. You will then be redirected to Target.com where you can make your $50 or more purchase. Your discount will be reflected in your cart. This is an easy way to save a few dollars.